I’m delighted to welcome internationally-bestselling author Robert Bryndza to Crime by the Book today to discuss THE GIRL IN THE ICE, the first book in his Erika Foster series - which releases in the US tomorrow! Fans of serial killer thrillers and police procedurals will find much to love in Bryndza’s page-turning series launch—this is one of those crime novels that feels like perfect comfort reading. From its compelling female lead to its breezy pacing and addictive tension, Bryndza’s police procedural struck exactly the right chord for me. Fans of M.J. Arlidge will find Bryndza’s work right up their alley - THE GIRL IN THE ICE has a similar tone to Arlidge’s DI Helen Grace books, which, if you know me, you’ll know I mean as a very high compliment indeed. Pick this one up for a weekend binge-read - you'll find Bryndza's world instantly-accessible, his characters compelling and endearing, and his story's central mystery wholly engrossing. 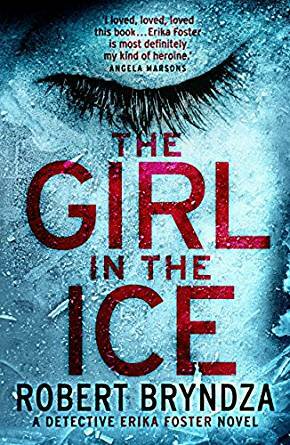 You can catch my full review of THE GIRL IN THE ICE here! In today’s Q&A, Robert and I discuss his writing process, the incredible success his series has seen around the world, and a whole lot more! Many thanks to Robert for taking the time to answer my questions, and to the team at Grand Central for facilitating this interview. THE GIRL IN THE ICE is available in paperback tomorrow, April 24, 2018. Crime by the Book: First things first - thank you so much for taking the time to answer my questions about THE GIRL IN THE ICE! Can you tell us a bit about your book? Robert Bryndza: Hello, and thank so much for inviting me onto your blog. THE GIRL IN THE ICE is a gripping serial killer thriller set in London, England. Detective Chief Inspector Erika Foster is recovering from the murder of her husband, Mark, when she is posted to London to investigate the death of a young woman from a rich and influential family. As the investigation progresses, Erika uncovers the dead woman’s dark past, and finds herself fighting against sinister dark forces in the British establishment who attempt to cover it up. CBTB: THE GIRL IN THE ICE has become an e-book sensation in the UK, where it’s sold over 1 million copies. What is it like to see your book (and the Detective Erika Foster series as a whole) taking off in the way it has? RB: I always hoped the book would be a success, but I never dreamed it would sell a million copies, and sold to 27 countries around the world. It has changed my life in so many ways, and made my dream come true to be a full time writer. The Erika Foster series now has a huge fan base, and I find this both hugely satisfying and a great responsibility. CBTB: If you had to describe your book in three adjectives, which would you choose? CBTB: THE GIRL IN THE ICE introduces readers to Detective Erika Foster, a tough-but-troubled woman who, at the start of this book, is trying to recover from a badly mishandled case that led to the death of her husband. How would you describe Erika to readers who are meeting her for the first time? RB: Erika was born in Slovakia, in eastern Europe, and moved to Manchester the UK when she was 18, to work as an au pair, and learn English. She met her future husband, Mark, and they both trained as police officers. Even though she has lived in the U.K for 25 years, Erika is an immigrant and an outsider, and this gives her an interesting take on British life. At the beginning of The Girl in the Ice, Erika is still reeling from the murder of Mark and four of her colleagues, who were killed during a drug raid where she was the commanding officer. 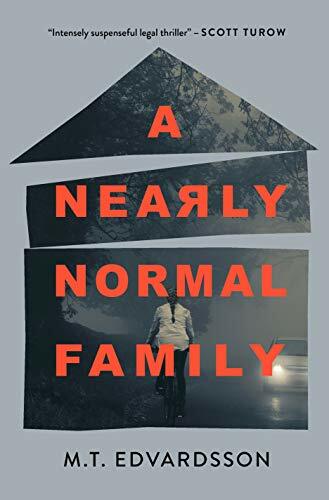 The guilt and the horror is still raw, so when she is offered the opportunity to transfer to London, she takes it and throws herself into a murder investigation. The death of Mark and her colleagues casts a long shadow over Erika’s life and work, and it makes her even more determined to put the world to rights and fight for justice. CBTB: There’s something perennially appealing about police procedurals - so many of us crime fiction readers come back to these “cops vs. bad guys” stories over and over, never tiring of them. What do you think makes reading about police officers and law enforcement so appealing? RB: I think there is so much uncertainty and injustice in the world, so what readers love about police procedurals is that the bad guy (or gal) never gets away with it! They are always caught and brought to justice. Readers also love coming along for the ride, and they love to try and guess who the killer is. CBTB: Did you do any research into police work or consult with any experts in the field during your writing process? Or was this entirely drawn from your imagination? RB: I work with a retired police officer to make sure that I am portraying police work and procedure in a realistic light. That said, I write fiction, and fiction needs to be propulsive and page turning. Very often I will say, I want to do this, would this happen in real life? And a good police advisor always understands that fiction and real life are very different, and will often make suggestions to how the outcome can be achieved, without the story becoming ridiculous. CBTB: As with any great crime novel, THE GIRL IN THE ICE features a villain whose motives and identity will thoroughly surprise readers. How did you get into the mindset of your story’s culprit? Did you know his or her identity from the outset, or did your idea of how this story would conclude change during the writing process? RB: I didn’t know the identity of the killer until I reached the end of the first draft, which was both exhilarating and nerve wracking. My husband always reads my first draft as I go along, and I email pages to his Kindle every few days, so it was exciting and helpful to the process to see him trying to work out who it was! In subsequent drafts the story was re-shaped, but the killer remained the same. The ending changed the most throughout the writing process, and I experimented with several scenarios as to how the killer would be unmasked. Getting into the mindset of a murderer, or any character, involves a lot of thinking. I spend a great deal of time mulling things over before I put pen to paper. I also enjoy people watching. Writing can be a solitary pursuit, but I always make sure that I still get out of the house and visit places. It’s incredible how people watching and listening to snippets of conversation can help form characters and story ideas. CBTB: When you wrote THE GIRL IN THE ICE, did you write it knowing that it would be Book 1 in a series? RB: During the first draft I didn’t know it would be book one in a series. When I submitted it to my publisher, they asked me if I would like to develop it into a series. CBTB: Speaking of the series - for US readers just being introduced to it now, how many books in the Erika Foster series can we look forward to? RB: Book six in the series, Deadly Secrets, has just been published! I hope series will continue in the future, as long as readers want more. CBTB: When you’re not reading crime fiction, do you also enjoy reading crime fiction? If so, could you share with us a few recent crime novels you’ve read and loved? RB: I enjoy crime fiction, but over the past couple of years my writing schedule has been very busy, and I’ve not been able to read crime fiction without feeling like it’s work. That said, I love Minette Walters and Thomas Harris. I recently read The Last Hours which is Minette Walters’ first book in the historical genre, and I thought it was brilliant. Thank you so much to Robert for taking the time to answer my questions, and to his publisher for facilitating this interview!